As a Clinical Psychologist, Nicky’s message is enhanced by her ability and understanding of creating sustainable change in our attitudes, beliefs and emotions. Her skills in translating her expertise and experiences in an engaging presentation will ensure participants leave an event empowered and motivated! Nicky is an international keynote speaker and has presented in Africa, Europe, the USA, Australia and the Middle East. 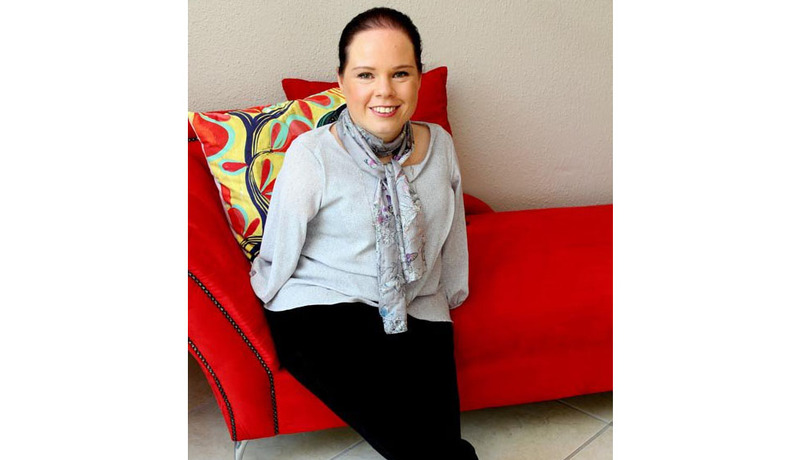 Born without arms, not without attitude! Nicky’s inspiring personal story, along with her expertise as a Clinical Psychologist, makes her an ideal candidate for an inspirational keynote speaker at your next conference or event. She has a witty sense of humour and natural speaking ability that not only keeps the attention of the listeners, but spurs them to action! Nicky Abdinor is an expert on doing MORE with less. She is an agent of change who will leave your audience believing in their abilities. They’ll learn to focus on what they can do. Nicky’s inspirational keynote talk, entitled “If you’ve got the drive, the destination is up to you,” aims to challenge the audience’s perspective on what is possible. Nicky uses her personal story (enhanced by video clips) and background in Psychology to motivate the audience to think differently about their situation. She believes that it is not our situation, but how we think about our situation, that determines our emotional well-being. Nicky highlights that we should not ignore what is wrong, but focus more on what is right.